My review of the inaugural Eurostar Amsterdam trip! 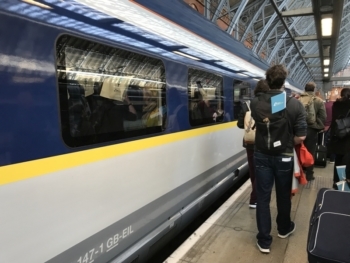 On Wednesday 4th April Eurostar launched its new route from London to Rotterdam and Amsterdam. 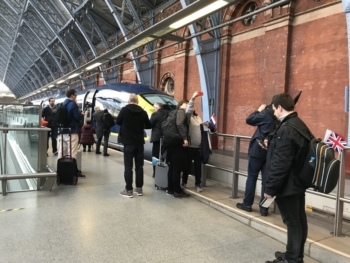 Passengers can now travel from St. Pancras to Amsterdam Centraal in 3 hours and 41 minutes. On paper this is almost four times longer than the average flight time between the two cities. To find out whether it is worth taking the Eurostar I went on the inaugural trip. Club Eurostar provided us with a free one-way ticket, but this was not part of the official media group. I was booked in Business Premier. I won’t go into too much detail regarding the seat as Rob wrote an in-depth review back in 2016 when the new e320 trains were introduced to the London – Paris route. Instead I will concentrate on the journey itself. 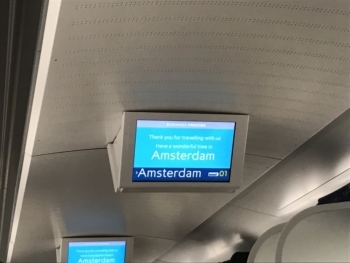 The train was scheduled to leave at 08:31 and arrive in Amsterdam at 13:12. As you only need to get to the station 30 minutes before the scheduled departure – and with Business Premier you can arrive as late as 10 minutes before departure – you can save at least 90 minutes here compared to flying. I got to St. Pancras around 07:30 as I had a Business Premier ticket and wanted to have breakfast and coffee in the lounge. 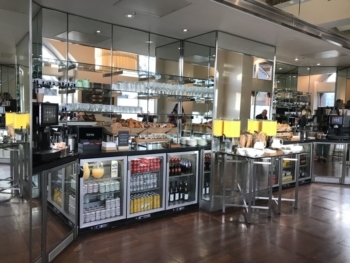 Remember that American Express Platinum cardholders get free access to Eurostar lounges in London, Brussels and Paris irrespective of travel class. You cannot bring a guest but your partner probably has a supplementary Platinum card anyway. Rob has never had a problem taking his children in too although this is discretionary. 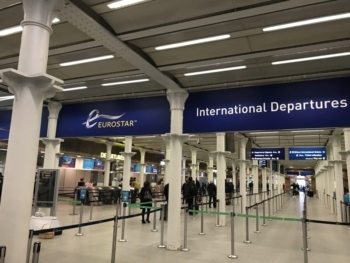 Eurostar employees were handing out Stropwafels to passengers as they were queuing up to go through security! The Eurostar lounge is on your right as you enter the station. It is an odd shape, very long and not particularly wide. The downstairs area of the lounge was fairly quiet. ….. whilst upstairs was where everyone was waiting, chatting and taking videos and pictures. I was in carriage 1 which was the last carriage and thereby at the other end of the platform. 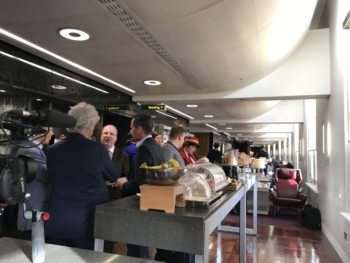 The official media group was at the other end of the train – you may have seen pictures in the newspapers last week of Raymond Blanc personally supervising the food, but he never made it to my carriage! The Amsterdam services do not stop at Ashford International. This allowed the train to set a record-breaking time to Brussels as you will see. After 1 hour and 48 minutes we stopped in Brussels. This was 17 minutes faster than the previous quickest timetabled journey. 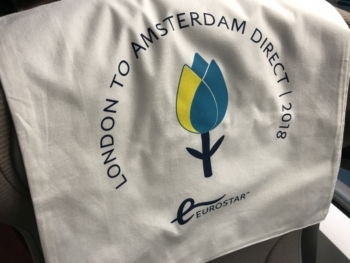 I can imagine that the Eurostar ticketing team will be taking careful notes, as they need to juggle the number of people who just want to travel from Brussels to Amsterdam with those travelling London to Brussels (and this is now the fastest service of the day) and those travelling through to The Netherlands. After leaving Brussels alcoholic drinks and snacks were served. 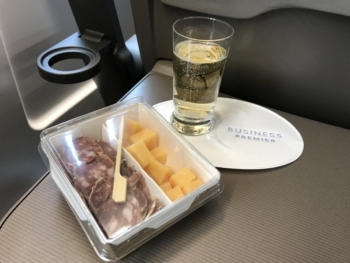 I chose a glass of champagne (Piper) and was given a cheese and meat box. The cheese was very strong which I don’t like but the meat was very good. And 40 minutes later we had reached our destination: Amsterdam. That said, we had to wait on the tracks outside the station for about 10 minutes before continuing to our platform. At Amsterdam Centraal everything was pretty unspectacular. I was secretly hoping for a big party but it was not to be. I got off the train, walked down the platform, down the stairs and out of the station. There was no passport control as that had already happened in London. Will the new service be a success? Having to compete with 17 daily flights from London to Amsterdam, it won’t be easy to win over frequent flyers on this route. The arrival times of 13:12 and 22:12 are also not very business friendly. 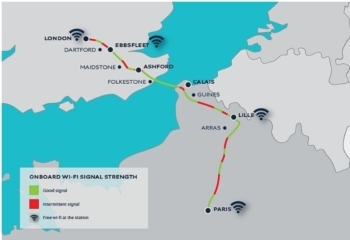 On the other hand Eurostar offers almost seamless wi-fi connection on the whole route, apart for a few bits as you can see on the map below, which means you can work during the journey. For comparison, I took a BA flight from Amsterdam back to London City the next day. I left the hotel (IHG’s Kimpton De Witt, more on that soon) at 11am and walked to the central station which took about five minutes. The next train to the airport was leaving at 11:34am, my flight was at 1:40pm but ended up being slightly delayed and I was back in the HFP office at Moorgate by 2:45pm UK time. All in all my journey took 4 hours and 45 minutes. Given that I could get from the office to St Pancras in around 15 minutes, the total travel time – at least outbound – is virtually identical by train and I would have had more opportunity to work on the way. 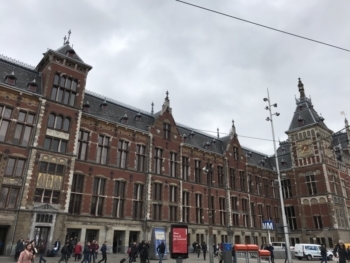 I can see why taking the train instead of a plane can be attractive on the London to Amsterdam route, although a lot will depend on how easy it is for you to get to St Pancras compared to your nearest airport. With KLM and its partners flying from every major UK regional airport you are never far from a plane to Schiphol. The real problem is on the return. 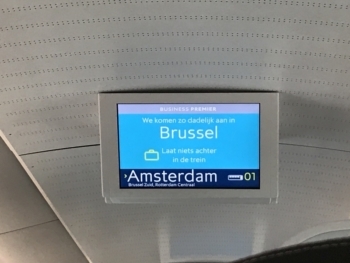 Until the passport control facilities in Amsterdam and Rotterdam are in use, you need to change trains in Brussels on the way back in order to be screened. This will happen once a formal agreement has been signed between the UK and Dutch governments, but it’s probably not going to happen before late 2019. The increases the travel time to almost five hours which is unfortunate, and will certainly lead to people travelling to Amsterdam by train and back by plane as I did. Whilst most of the publicity around this route has focused on Amsterdam, I think that Rotterdam will be the quiet success story. The train takes about three hours, whilst the flying options are limited. Rotterdam’s airport is not exactly a major hub, with no rail connection, whilst most of the major corporate offices are very close to the station. I do recommend giving Eurostar a go on your next trip to Amsterdam or Rotterdam in order to make up your own mind. 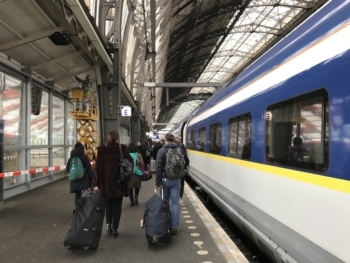 Remember that Club Eurostar is still offering double points on all trips to the Netherlands booked before 13th April for travel by 31st August. 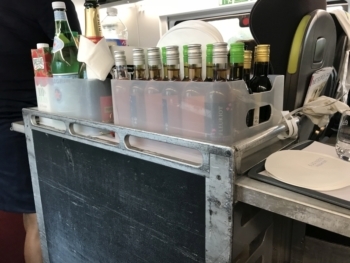 This is only valid on Eurostar trains and not any connecting Thalys services. The bonus points do not count towards your status level. 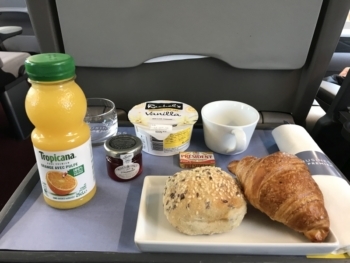 This HFP article explains how to use your American Express Membership Rewards points to redeem for Eurostar tickets although cash tickets are cheap at the moment as they look to build volume and you may find that a better deal. Thanks to Club Eurostar for their help in arranging my trip. What do you need to know about the closing of the Avios Travel Rewards Programme? Also remember that taking the train is far more environmentally friendly than flying that distance. If you’re at all concerned about your carbon footprint it’s a no brainer. I always take the Eurostar to Paris rather than the plane even though Heathrow is just 35 mins from Guildford where I live. I get on enough planes as it is so I’m very happy to take the train. Why are people making such an issue of the train switch from Thalys to Eurostar on the return? Because in reality it isn’t a big issue. Take it from someone who has actually done it. 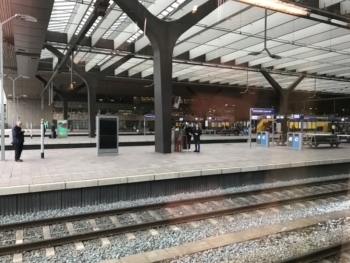 It is a lot easier than some airline connection processes – off the Thalys down to concourse level via lift/ escalator and a very short walk to the Eurostar terminal for check-in and security. And doing Thalys & Eurostar offers more options for the return trip. With a couple of kids and a couple of cases? Not keen. You’ve probably lugged luggage and kids far longer distances at airports than you would doing the platform change at Midi! Is it going to suit everyone then no but it will suit a lot of people to do this. I reiterate this is not as awful as some people make out. I can’t find any Club Eurostar redemptions Amsterdam-London for this year, but plenty in the other direction, seems odd!? How was the breakfast and coffee in the lounge? It’s mentioned at the beginning but not actually reviewed. Re saving “at least 90 minutes” on the outbound – what do frequent travelers think about arriving 10 minutes before departure? I travel on Eurostar rather infrequently and was always thinking it’s a bit too aggressive. If that’s used for the calculation in the article, then also the LCY cut-off time should be used rather than 1h40 minutes (90 mins + 10 mins). Coffee was very good and they had a selection of bread with cheese and some meat as well as pastries and joghurt.